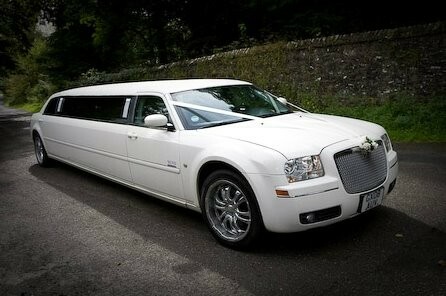 We can supply you a Limousine to seat 8 Children we can decorate the inside of The Limo with balloons party banners Etc for the birthday boy or girl including soft drinks of your choice, plus a Present for the birthday child from London Limo Hire so they can Remember their fantastic Day With Us. We can supply 2 course meals with drinks from the menu of your choice all this from £290.00 for a one way journey or £375.00 pounds for a return journey all inclusive, A Minimum of one hours Cruise hire is supplied in the limousine on the way to the restaurant, we will then come back to the restaurant at your agreed time, we normally suggest one and half hours to two hours so the party is enjoyed by all and so you are Not Rushed and enjoy Your Party. We have larger vehicles available Stretched Hummers and Navigators which seat 14 and 16 people respectively and prices for the same packages are as follows. For The same package as above 14 Seater Limousine will cost £500.00 pounds for a one way journey and £595.00 pounds for a return journey inclusive. Parents do not have to travel or supervise their children in our limousines our Chauffeurs are kiddie friendly and are all crb checked and licensed by the Pco or Public Carriage office please see the link below. Any parents or guests wishing to eat with their children can pay for their meals on the day no problem at all. Please enjoy our Vehicles and our hospitality and may we thank you for making your booking with us regards London Limo Hire. We can also offer packages to the Rainforest Cafe In London and other children’s activities such as London Dungeons, Thorpe Park , Alton Towers , Madame Tussauds, and any other destination of your choice.